Kol has seized the Enterprise and several of the more disenfranchised Klingons have abducted Chief O’Brien to force him to aid in constructing a new iteration of their current disruptor cannons. Rescue Chief O’Brien and recover the Enterprise! Mirror Paul Stamets (New) - this crew will be featured event crew in the event starting on 02/14. 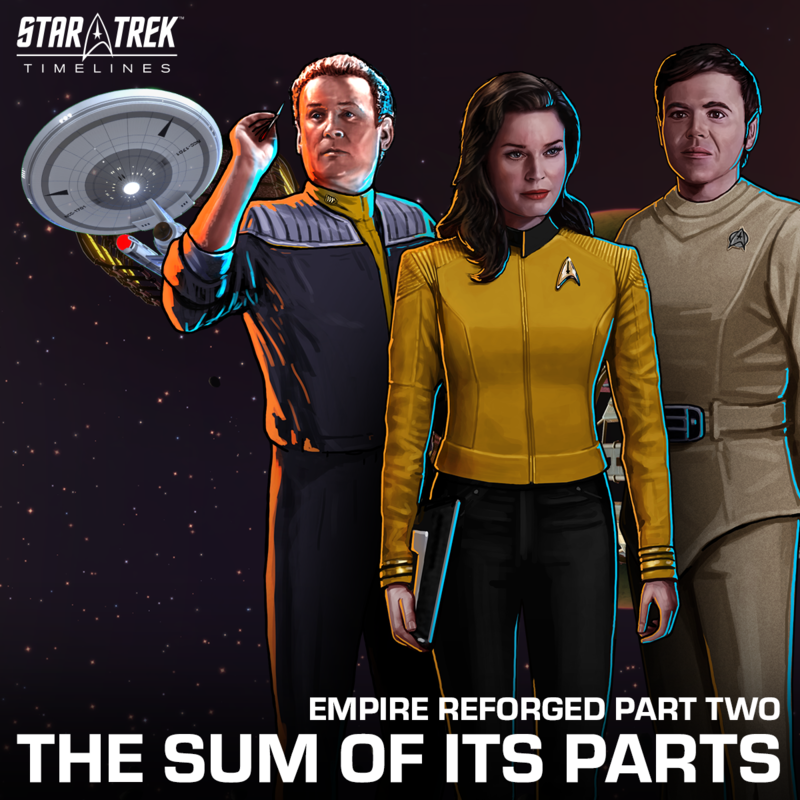 • medium bonus: variants of Chekov, variants of Miles O'Brien, and Discovery crew. Bug fix: participating in a Skirmish event will no longer remove the crew in Captains' profile and active pve ship.